This Trapeze Bar attaches to either end of the bed providing residents with a positioning device that is always within reach. The standard trapeze is designed to provide assistance for a 250 lb. patient. 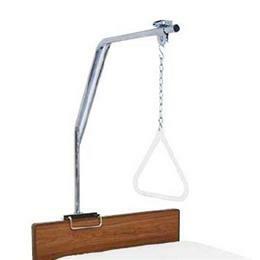 A heavy duty trapeze (350 lb) is also available. Fits CS5, CS7, CS9, CS9FX600 (all widths).